A beautiful scenery is worth the chaos. -Devil's Throat- on the Iguazú Waterfalls in Argentina! And you are right about everything! Maybe there should be one person who get into his shot (not him again!) but only when he puts camera he notices that is the one person who just ENJOY the view in the crowd of selfies people. 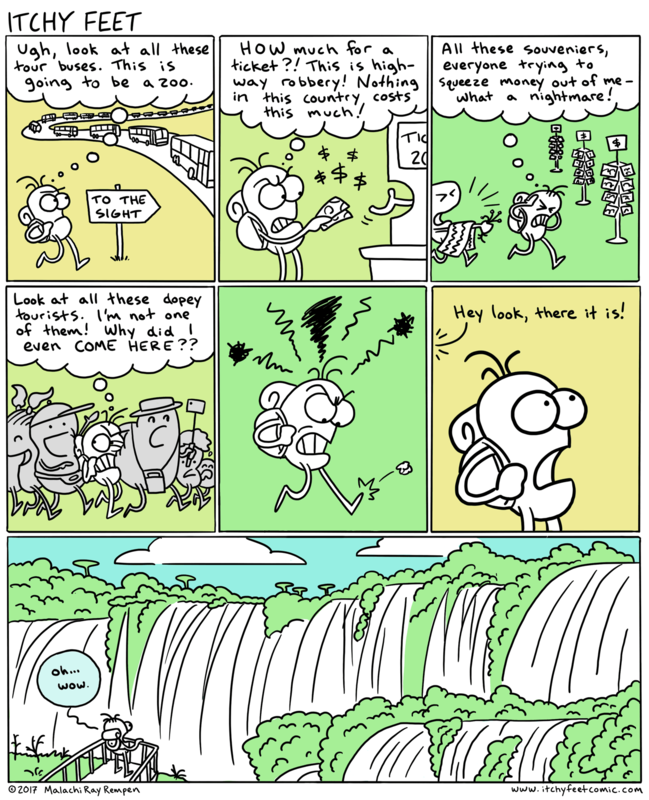 Literally just went to Iguazú and had the exact same thoughts. The Brazilian side is a touristy zoo, but the Argentinian side has some nice trails to get away from all the people!